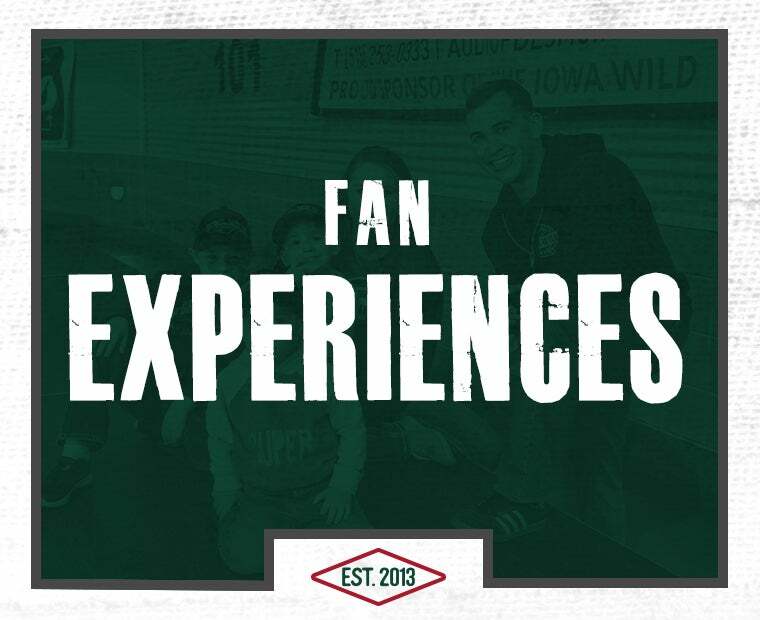 Iowa Wild announced today its 2018-19 promotional schedule, which features the return of fan-favorite theme nights and giveaways as well as exciting new promotions. 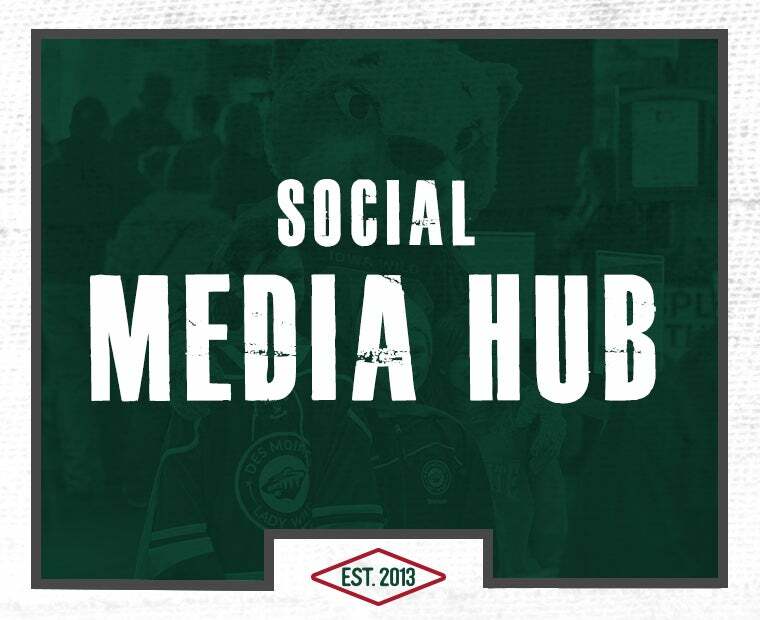 The Wild hosts the Manitoba Moose at Wells Fargo Arena on Friday, Oct. 5 for Opening Night, presented by Mercy Medical Center. 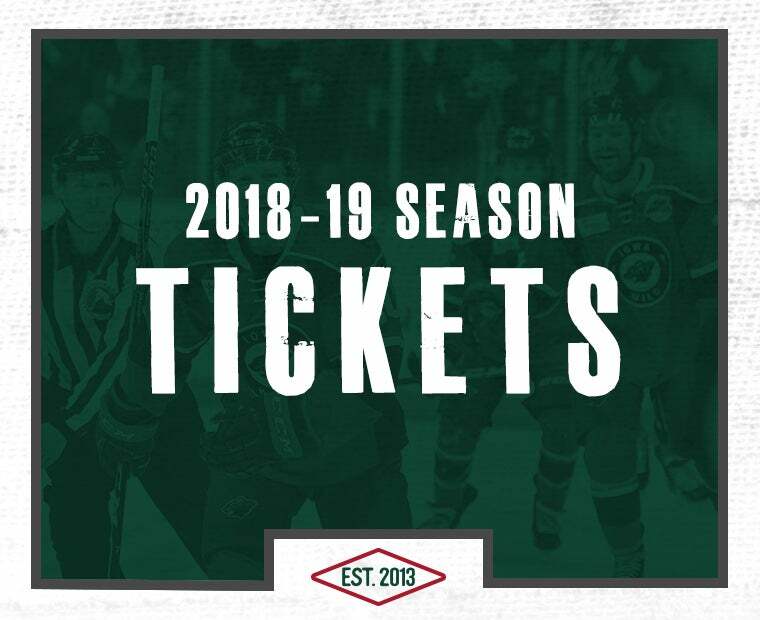 Upon entry, fans will receive an Iowa Wild souvenir cup, featuring the 2018-19 schedule. Fans 21 and older may participate in $2 beer night, presented by 100.3 The Bus, which runs through the first period. Fans are also encouraged to bring non-perishable items for a food drive, presented by Raising Cane’s. Other giveaway items include a poster schedule (Oct. 12 vs. Texas), dog bandana (Nov. 4 vs. Rockford), baseball hat (Nov. 10 vs. Bakersfield), cowbell (Nov. 16 vs. Milwaukee), player bobblehead 1-of-3 (Dec. 21 vs. Stockton), blanket (Dec. 26 vs. Rockford), player bobblehead 2-of-3 (Jan. 18 vs. Ontario), youth jersey (Jan. 21 vs. Rockford), trading cards (Feb. 8 vs. San Antonio), rally towel (Feb. 9 vs. San Antonio), player bobblehead 3-of-3 (Feb. 22 vs. San Jose), reusable shopping bag (March 15 vs. San Antonio), baseball hat (April 12 vs. Chicago) and team poster (April 13 vs. Rockford). 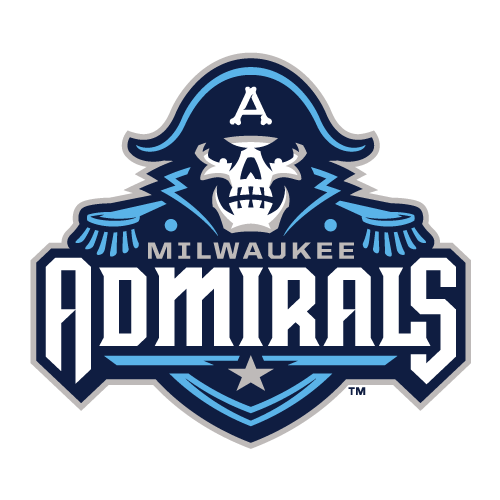 Key promotional nights include Kids Opening Day (Oct. 7 vs. Manitoba), Social Media Night (Oct. 27 vs. Colorado), Pucks N Paws (Nov. 4 vs. Rockford), School Day Game (Nov. 8 vs. Bakersfield), Veterans Appreciation and ALS Association – Iowa Chapter Night (Nov. 10 vs. Bakersfield), Red Kettle Game (Nov. 16 vs. Chicago), Teddy Bear Toss (Dec. 7 vs. Chicago), Ladies Night (Dec. 21 vs. Stockton), Princess and Pirate Night (Dec. 22 vs. Stockton), Seinfeld Night (Dec. 29 vs. Milwaukee), New Year’s Eve Game (Dec. 31 vs. Chicago), Military Appreciation Night (Jan. 18 vs. Ontario), Crash’s Birthday (Jan. 21 vs. Rockford), Local Heroes Game (Feb. 8 vs. San Antonio), Pink in the Rink (Feb. 9 vs. San Antonio), Tame the Hunger (March 15 vs. San Antonio), Superhero Night (March 29 vs. Texas), Iowa Appreciation Night (April 12 vs. Chicago) and Fan Appreciation Night (April 13 vs. Rockford). Two-dollar beer nights, presented by 100.3 The Bus, return again this season for all 13 Friday home games, along with $3 off Captain Morgan products. The Coca-Cola Local Concert Series, presented by Marv’s Music, returns for nine Saturday contests, along with 2-for-$10 tallboys and $5 Jim Beam Honey and Lemonade drink specials for fans 21 and older. On four Monday games, Wild fans can purchase $1 hot dogs on Dollar Dog Night, presented by LAZER 103.3. 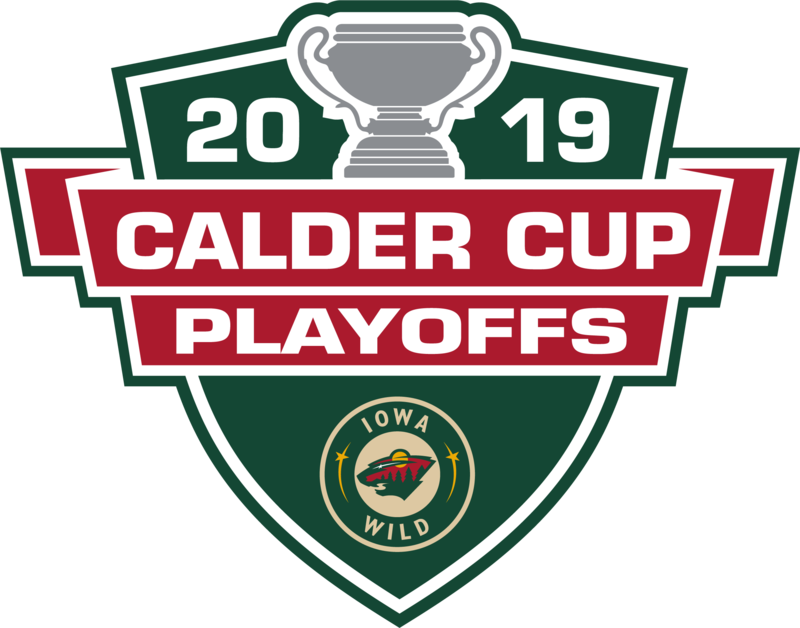 Kids Eat Free on the four Tuesday night competitions sponsored by Goodhue Nolte Insurance and 96.9 The Bull, as children 12 and younger receive a hot dog, soda, small popcorn and Iowa Wild prize. New to Wednesday games is Winning Wednesday, presented by Nash FM 97.3 and Nash Icon 92.5. 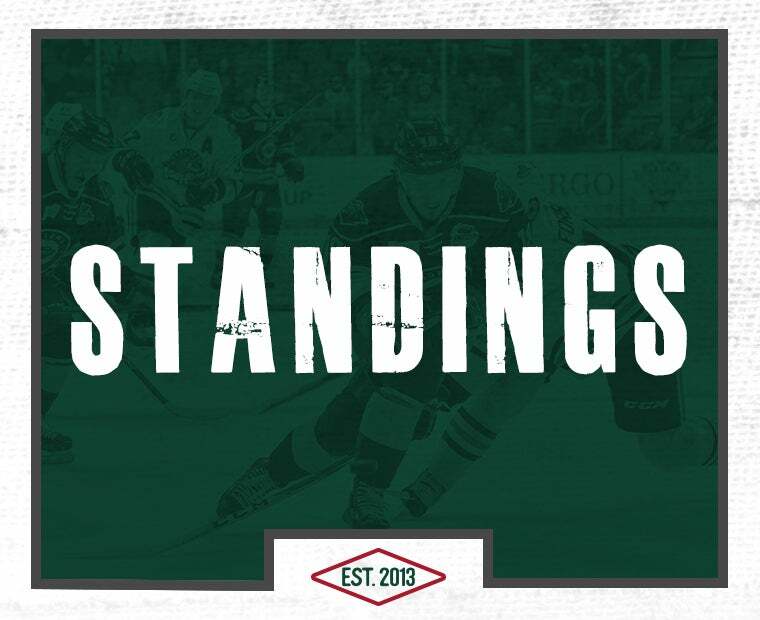 For Winning Wednesday, if the Wild wins, everyone in attendance receives a free ticket to the next Wednesday game. Fans 21 and older may also purchase two tallboys for just $10 on Wednesday nights. For the two Thursday games, fans may purchase popcorn for just $1 on Dollar Popcorn Night, presented by STAR 102.5. Along with food and drink specials, the Wild welcomes fans to the Wells Fargo Arena ice for postgame skates following seven games (Oct. 7 vs. Manitoba, Nov. 4 vs. Rockford, Dec. 26 vs. Rockford, Jan. 21 vs. Rockford, Feb. 22 vs. San Jose, March 15 vs. San Antonio and April 12 vs. Chicago). Each postgame skate is presented by Learn To Skate Iowa by Central Iowa Figure Skating Club and Nash Icon 92.5. Iowa Wild will continue to wear specialty jerseys in partnerships with ALS Association – Iowa Chapter and Susan G. Komen of Greater Iowa. 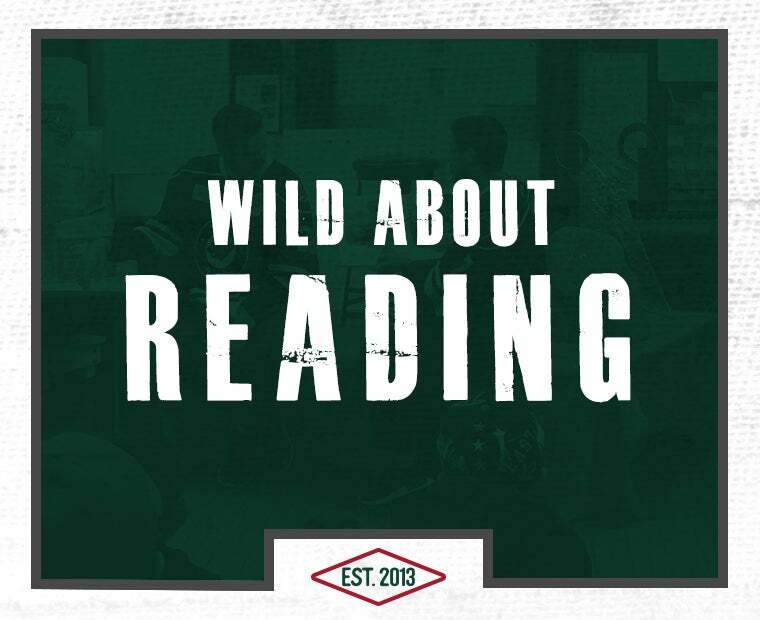 The Wild will wear military-themed jerseys to benefit ALS research on Nov. 10 vs. Bakersfield as a part of Military Appreciation Night. At the Pink in the Rink game on Feb. 9 vs. San Antonio, Iowa will wear specialty jerseys to benefit Susan G. Komen of Greater Iowa. The team will also wear specialty jerseys on March 29 vs. Texas. The game-worn jerseys will be auctioned off following each respective game. Popular ticket packages, including Combo Packs and Collegeville, presented by Buffalo Wild Wings and KISS FM, will also return for this season. 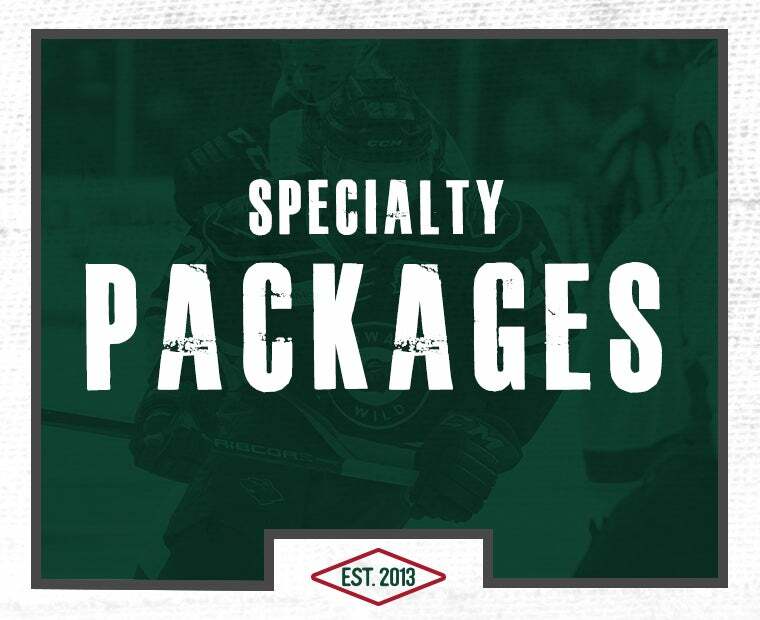 Combo Packs, which start at just $12, include a game ticket, hot dog voucher, soda voucher, Iowa Wild hat (with select packages) and Iowa Wild puck (with select packages). Collegeville packs include a Collegeville Ice Level suite pass, two beer (21+) or soda vouchers and a Buffalo Wild Wings appetizer voucher. 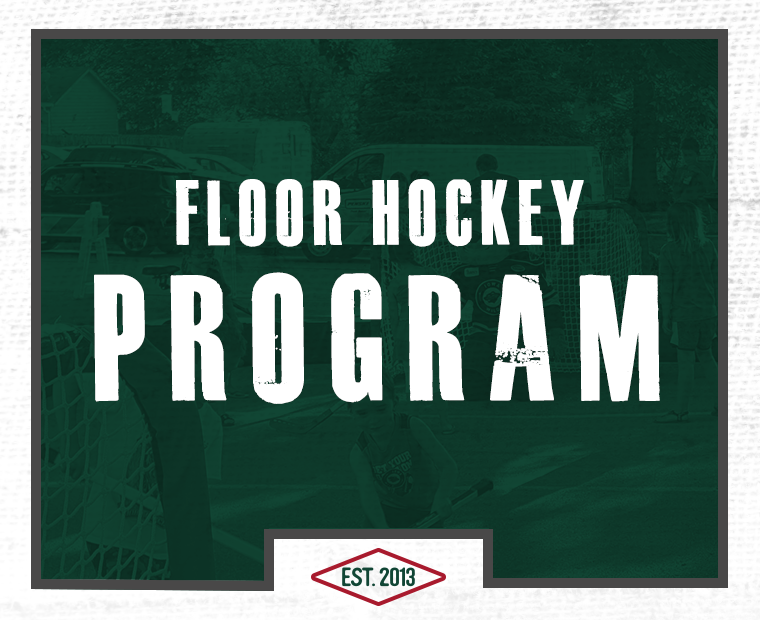 These ticket packages will be available for various nights throughout the season. All promotions and dates are subject to change. 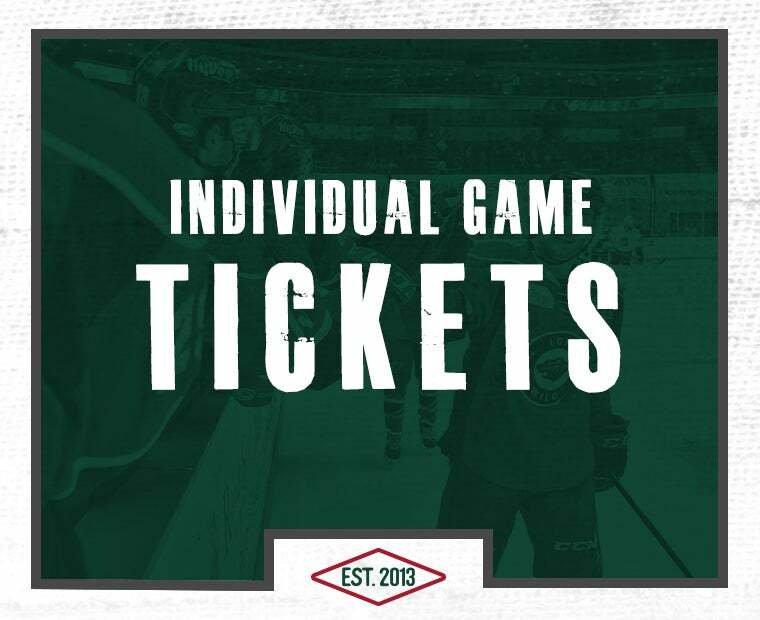 For more information, visit www.iowawild.com or call 515-564-8700. Individual game tickets will go on sale on Thursday, Aug. 9 at 10 a.m. 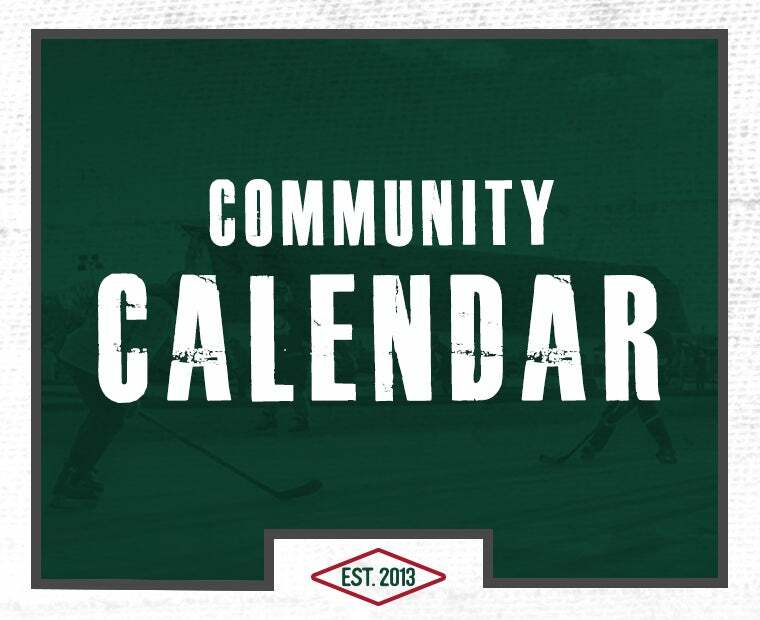 The Iowa Wild 2018-19 season is presented by Mercy Medical Center and runs from October through April. Minnesota Wild and the St. Louis Blues will compete in an NHL preseason game at Wells Fargo Arena on Wednesday, September 19. 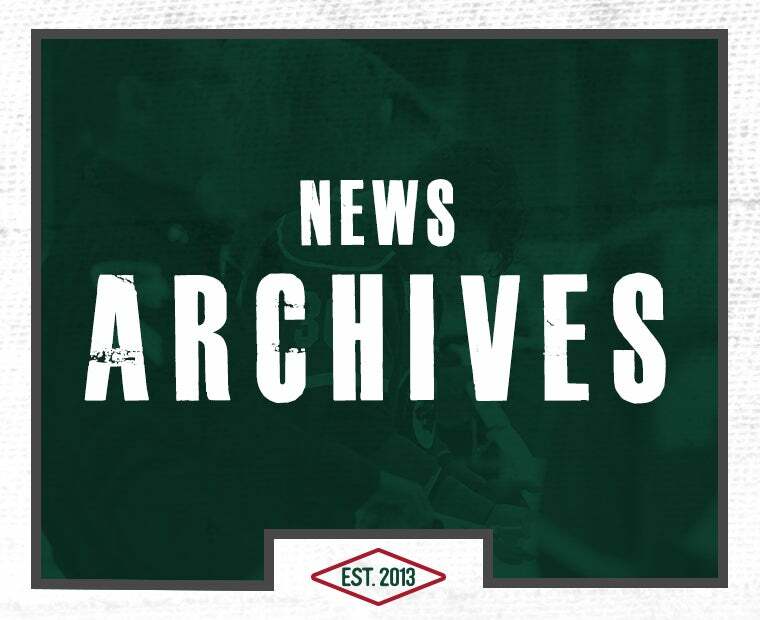 Iowa Wild’s Opening Night will take place on October 5. 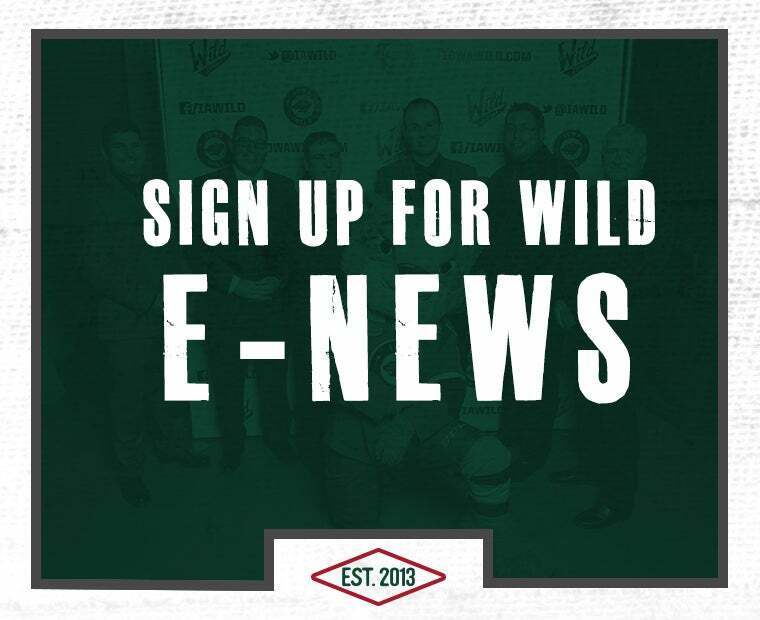 For more information, please contact the Wild office by calling 515-564-8700 or by visiting www.iowawild.com.